Amidst some absolutely brilliant new machines in 2016, we had a few ‘run of the mill’ motorcycle introductions but that is also acceptable. However, we have shortlisted two products which are here for ‘Only God Knows Why‘ reasons! The pole position, undoubtedly goes to the Italian. Yes, we do have a history of manufacturers fooling buyers into buying something neglected and out of fashion internationally however, this is pure senselessness! Why would anyone, in his complete senses… even at gunpoint, buy a 125 cc scooter at close to 13 Lakhs on road!!! Even if you are buying for show-off wouldn’t it be better to buy a motorcycle, say Hayabusa, for this amount. However cool a scooter may look, it is sheer stupidity of the highest order to even consider buying a 125 cc scooter for such a whopping amount. Forget technology, there is absolutely nothing in it to justify even 1.3 Lakhs of its ex-showroom price. 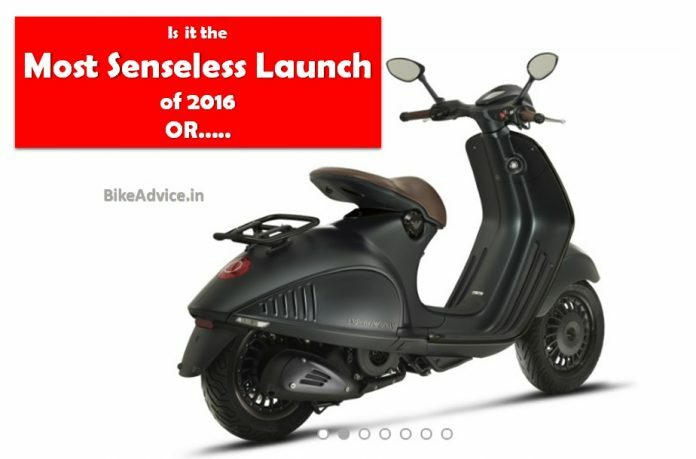 Vespa has completely miscalculated the Indian crowd. Manufacturers bring halo products not for volumes but for brand building – accepted! 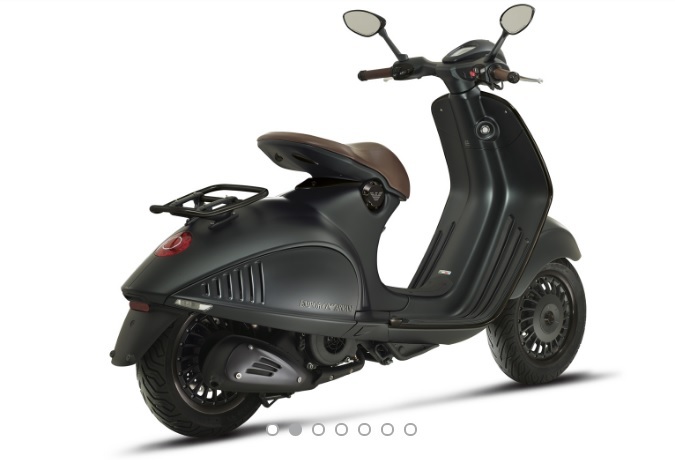 But this Vespa 946 at even 25% of its price is sheer stupidity (of the highest order as I said earlier)! If you come across a single person who buys the 946 do share his credentials with us. We would probably want to feature him at BikeAdvice…. Frankly speaking, the MT-09 is not stupidity but more of a miscalculated decision from Yamaha. First, a lot of stuff was expected from them at the Auto Expo and all they had to offer was this.. a motorcycle which ever since its global unveil has failed to evoke much of an interest in India. Pitched against the 10 times more aggressive Z800, MT-09 doesn’t seem to have any significant USP. It is at par in terms of specs but about Rs 3 Lakhs costlier! And this is precisely the reason why, according to official SIAM figures, it has sold only four units in India in the 10 months since its launch as compared to about three times of this Z800 sells every month (or probably even more)! 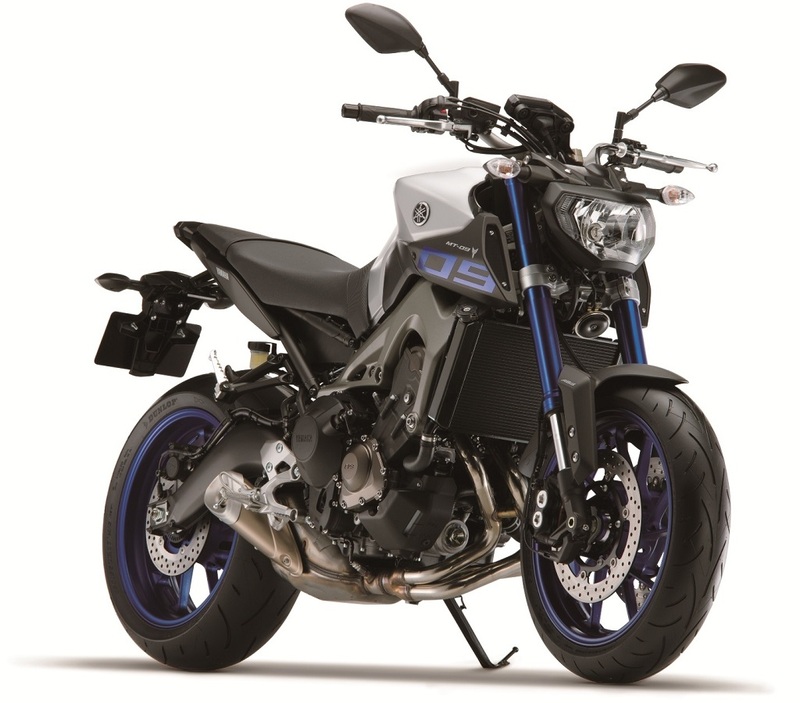 It would have been better had Yamaha brought in the more interesting MT-10 if they had plans to bring in a member from the MT family. Do you see more candidates which should have made it to our list of – the Most Senseless Launches of 2016? Do share your view in the following poll. Next Read: Now Hayabusa Outsells Karizma; Believe it or Not!